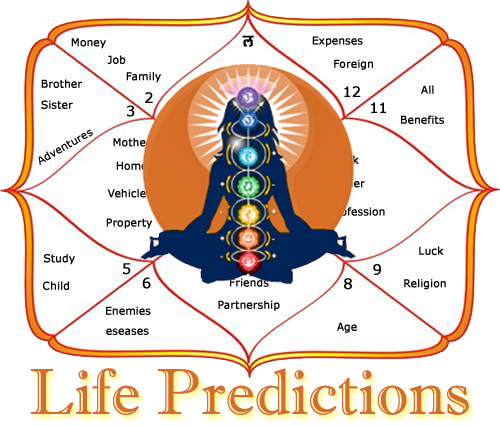 The horoscope of Abhay Charan Bhaktivedanta Swami Prabhupada, founder of the world wide International Society for Krishna Consciousness, can serve as a good illustration to bring together the component parts of Vedic astrology and see how it functions as a system of judgment. 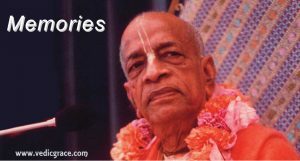 There has been a continuing controversy as to the correct Ascendant of Acharva Prabhupada. More specifically, it centers on whether the rising sign is Sagittarius or Capricorn. Towards the end of his life, there was some attempt by his disciples to identify the horoscope of their Guru. They were concerned about his health and longevity as he had been sick. He was confronted with three different horoscopes, each with a different rising sign: Scorpio,Sagittarius and Capricorn. 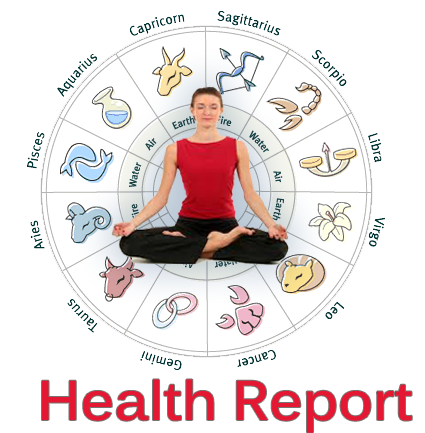 It has been said that Acharya Prahhupada recognized the Capricorn chart. He had often said, “I was born about 4 o’clock”. The birth was in Calcutta. In spite of this, a section of the astrological community feels that Sagittarius is his true rising sign. In the face of the choice of Capricorn by none other than Prabhupada himself, how can anyone justify otherwise? Well, one must remember that Prabhupada himself was not an astrologer and never claimed to have studied astrology. That he settled on the horoscope with Capricorn as the rising sign is hardly proof. This could just mean that the astrologer presenting Capricorn was impressive or that Prahhupada had always been told that Capricorn was his rising sign such that he never gave it enough importance to investigate, along that order. 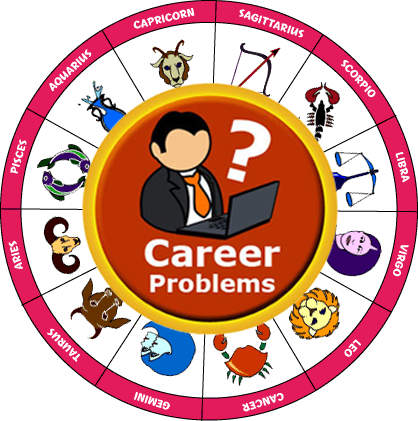 It is difficult enough for an actual astrologer to rectify a chart by matching the events of a person’s life to the chart, what to speak of having a lay person in astrology recognize or identify which chart corresponds to his life! If Prabhupada’s reported birth time was Why a very short period of time, less than half an hour or so, then the calculated Ascendant would change from Capricorn to Sagittarius. But first of all, what does one mean by “reported time?” The reference is to a time zone in India where, at that time, the city of Calcutta was on one time zone and the surrounding province of Bengal on another. If an interesting point is that Sriia Bhaktisiddhanta Saraswati, Acharya Prabhupada’s guru, was a great astrologer, but no discussion between both on the former’s horoscope has been recorded in any manner. And actually, by the time that they met, Srila Bhaktisiddhanta Saraswati had left astrology by the wayside in favor of full-time Vaislinava evangelism. The main point is if Prabhupada’s reported birth time was off by a very short period of time, less than half an hour or so, then the calculated Ascendant would change from Capricorn to Sagittarius. First of all, what does one mean by “reported time?” The reference is to a time zone in India where, at that time, the city of Calcutta was on one time zone, and the surrounding province of Bengal on another. This is confusing! What if a person lived in the outskirts of the town? Did the clocks of the 1890’s in India keep good time? Or were they like the old grandfather clocks which had to be periodically adjusted or re-set? it is a recorded fact in the time zone literature that not all of Bengal was observing the same time zone back in those days; there were even half hour differences. When faced with an Ascendant near the border line, it is more accurate to .start by investigating both the Ascendants to see if the life events correspond, and then confirm or change the birth time, rather than to take a borderline birth time for granted. The contention is more delicate than it might seem insofar as a phenomenon might seem justifiable from both charts. For example, one could at least argue a ease for the existence of children and business along pharmaceutical lines from both charts. 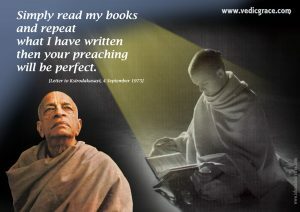 (Earlier in his life, Prabhupada worked as a pharmacist, both in a laboratory as well as in Ins own pharmacy). But there are other major life events like Prabhupada’s At first glance, the Capricorn chart supports the tjpe of religious authors hip that Prabhupada enjoyed.. But the lord of the house of authorship, Jupiter, occupies the 8th house. The 8th is the most evil house in any horoscope and the strength of a planet here is said to he “feeble.” This does not support the idea of a world-famous author who wrote and organized the distribution of so many millions of his books. Authorship, the type of success that his Hare Krishna movement saw during the seventies, and the fact that he had only one older sibling, a sister which can only be reasonably explained by the Sagittarius chart. When one examines any action or event, I we look at the house winch stands for the affair or event inn question, its occupants, any aspects which it might receive and the position of its lord. At the same time, we examine the Karaka or natural significator. With this in mind, an examination of the authorship issue from the two supposed charts can be taken up. Astrological literature unequivocally indicates Mercury as the Karaka or indicator of writing, authorship and books. In the Capricorn chart, Mercury occupies his sign of exaltation, Virgo, in. a benetic and pious house, the 9th. It forms a Raja Yoga with Venus, the Raja Yoga being a combination for tremendous power and influence. So at first glance, the Capricorn chart supports the type of religious authorship that Prabhupada enjoyed. But the lord of the house of authorship, Jupiter, occupies the 8th house. The 8th is the most evil house in any horoscope. The affairs the Rahu-Ketu combination can indicate comprehension troubles in the charts of those investigating Vedic Dharma, without carrying the added affliction of occurring in the evil 8th, as in the case of the Capricorn chart. So this afflicted 3rd lord Jupiter with the Rahu-Ketu axis, is not indicative of Prabhupada’s writings which follow a strict devotional line represented by any planet or lord who falls there are said to disintegrate and the strength of such a planet is described in astrological literature by adjectives such as “feeble.” In spite of the strength of one of the indicators, Mercury, and the fact that Mercury aspects or throws his influence on the house of authorship, the absolute weakness of the lord of that house does not support the idea of a world-famous author who wrote and organized the distribution of so many millions of his books. And the nature of any religious writings indicated by Jupiter in the evil 8th house, afflicted by the Rahu – Ketu axis, would not be of the nature of the pure devotion to Krishna of which Prabhupada wrote. The Rahu-Ketu combination together with Jupiter goes by the name of Guru-Chandala Yoga in Vedic astrology and is indicative of Dharmas of lesser understandings. I have seen this combination indicate comprehension troubles in the charts of many people investigating Vedic Dharma, without carrying the added affliction of occurring in the evil 8th, as in the case of the Capricorn chart. So this afflicted 3rd lord Jupiter with the Rahu-Ketu axis, in an evil house, is not indicative of Prabhupada’s writings, which follow a strict devotional line. Nor does the idea of a Vipareeta Raja Yoga save the day for Capricorn as the Ascendant. A Vipareeta Raja Yoga results when the lords of evil houses occupy another evil house, the evil destroying the evil, thereby producing good. It is true that the lord of the 12th and 3rd Jupiter occupies the evil 8th. But the Sun also occupies the house in his own sign. This is a source of traditional strength such that the Vipareeta Raja Yoga does not occur. This situation of the lord of the house of authors, Jupiter, simply does not support the quantity and quality of authorship Karma which Prabhupada enjoyed. On the other hand, the Sagittarius chart has four resounding indications which suggest great literary success with no blemishes. The natural indicator Mercury occupies his sign of exaltation — that doesn’t change from one chart to the next. But the house which Mercury occupies does change. Mercury occupies the house of occupation and career, which is certainly a natural place for it to’ be in Prabhupada’s chart who was a writer. Rahu occupies the house of authorship. Rahu gives very good results from that house, the 3rd. Jupiter and the Sun aspect the house of authorship, as good lords, from the 9th house, a very pious and benefic house, wherefrom they form a great Raja Yoga. This aspect greatly strengthens the house of authors and spiritualizes Rahu. Finally, the lord of the house of authorship occupies his sign of exaltation, this lord being Saturn in the 11th. Not only is Libra the best sign for this planet, but the 11th is the best house for Saturn! Now these are the kind of indications which would (and did) make an author a million-book seller Over and over again. Unfortunately, the indications for authorship according to the Capricorn chart wane pale. Anpotherissue has to do with the fact that the heyday of the Hare Krishna movement took place (luring, Ketu Dasa. 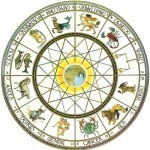 The indications promised by a planet in the chart become in the Sagittarius chart, any natural evil of the Rahu – Ketu axis would be transformed by dint of the fact that Ketu is in the pious house of religion, and that Ketu is with a strong Jupiter, who is the Karaka for religion and spiritual understanding (Jupiter is Brihaspati), and because Ketu is with the lord of the house of religion, the Sattvic Sun. Ketu would not only reflect the piety this 9th house situation in the Sagittarius chart, but would reflect and intensify the force and power of that house and its occupants and give success in his period. Activated during its period. Kern Dasa started in Slav 1971. Previous to that, the Dasa corresponued 10 Mercury, the Biukti belonging to Saturn from August of I9bK to May of 1971. In the Capricorn chart. does Ketu in me evil 8th house with Jupiter and tile 9th lord Sun, indicate any great spirituality? 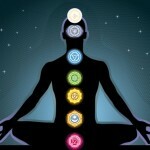 This question has already been answered by a no by identifying the combination as an afflicted Guru Chandala Yoga. Does ketu in the 8th suggest any type of strong success? Not according to the Capricorn chart. There is no Vipareeta effect occurring, such that the 8th is simply a terrible placement for Ketu. Nothing overcomes this evil in the Capricorn chart. In the Sagittarius chart, however, any natural evil of the Rahu – Ketu axis would be transformed by dint of the fact that Ketu is in the pious house of religion, and that Ketu is with a strong Jupiter, who is the Karaka for religion and spiritual understanding (Jupiter is Brinaspati) and because Ketu is with the lord of the house of religion, the Sattwic Sun. Ketu would not only reflect the piety of this 9th house situation in the Sagittarius chart, but would reflect and intensify the force and power of that house and its occupants, and give success in his period. say this because it is the nature of both Rahu and Ketu to reflect the results of the planet in whose sign they are placed. They arc, to a large degree, chameleons in this respect. They soak up and, intensify the indications around them. Remember the story from the Puranas about Rahu? Although he was not one of them, he went to the assembly house of the gods to drink their nectar. He disguised himself as one of the gods in order to do this. In other words, he reflected his surroundings. In predictive astrology also, Rahu and Ketu act like tile gimlets with which they are associated and reflect me indications of their sign lord. So in the Sagittarius chart, it is only natural and consonant wild general astrological principles for Kew to reflect and intensity the great success and piety of the Raja Yoga which Ketu sits next to. It is Ketu who would be overwhelmed by and reflective of the strong planets around him. In the Capricorn chart, Ketu would only reflect and intensity the negative indications of the evil 8th house. Ketu’s encompassing reflection would give results Over and above those given iii the Jupiter Rasa (in the Sagittarius chart). Jupiter Dasa took place ill the 1920’s, but Prabhupada did not have such success along spiritual lines back then.In other words, what Ketu did was to synthesize Gild reflect the combined effects of Jupiter and the SW; ill a synergistic way. This is typical of the nature of Rahu and Ketu and requires 110 great stretch of imagination on the part of any astrologer; one is used to seeing planets manifest their results through Rahu and Ketu. In the Capricorn chart, however, everything requires a bit of stretching. A much more tenable and natural interpretation results from the Sagittarius chart. Finally, there is the question of a sister. In the Capricorn chart Mars, a masculine planet, aspects the 11th house of older siblings. The exalted Moon, who is with Mars, does also. 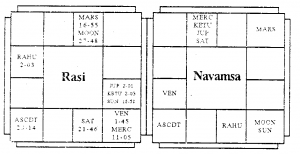 Three masculine planets, the Sun, Jupiter and Ketu square the house. There- is no limiting effect such as the influence of Rahu or Saturn or any overwhelming effect from the lord of an evil house. As such, the house affairs should flourish. Since the lord of the house aspects it, along with the exalted Moon, the existence of at least a few older siblings is indicated. Also, since the aspecting lord is a masculine planet, at least one male sibling is indicated. The opposite was the case. Prabhupada had one older sibling and a female at that, his sister Pishima. From Sagittarius as the Ascendant, we have congruency. The lord of the house of older siblings occupies a quadrant house in a feminine sign with a feminine planet, and here we are referring to Venus (debility is cancelled). The house itself is occupied by Saturn, a gender-neutral planet, in exaltation. Saturn’s influence also accounts for the limited number of older siblings, that is, one, and allows for her female gender too. 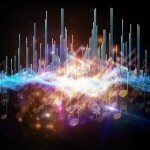 “A mysterious sign Scorpio rising in Vargottama indicates sonic kind of intrigue and mystery. The nature is fierce, stinging and adamant. Lords of 1st and 7th (Mars and Venus) together in the 10th afflicted by Saturn from the Ascendant make her passionate and violent. The two lords together shows the native’s consent and willingness. The disappearance took place in Ketu-Rahu; Ketu is in the 12th in Libra while Rahu is in Aries The 7th house and its lord and Karaka Venus are afflicted by Saturn. The boy is from a different religion. “Venus plus Mars shows one delights tricks and possesses a cunning nature. Saturn is in Scorpio, aspected by Mars, I fits makes one commit crimes and get into dire legal troubles. She may be in exile or at large. Mars in the 10th (in a female chart) makes for an evil disposition, bereft of wisdom and shame. Elopment seems to be the case therefore”, concludes reader Parmeshwari Prasad Khetan of Jhunjhunu indicating the girt severely. As most of our readers have pointed out, the Ascendant lord Mars and 7th lord Venus together combining with the fact of Scorpio rising appear to have prompted the girl to elope. Saturn in the Ascendant aspecting Venus, both as the Karaka for romance and the 7th lord, led to her being secretive about the whole affair. The strength of the Ascendant and the position of the Moon rule out kidnapping. Now that Venus Dasa has- begun and Venus aspects the 4th house showing home, it is likely the girl may try to contact the parents.